Document the many revisional differences. There might be more text in the BIOSes too. 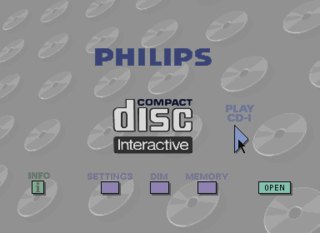 The Philips CD-i was an attempt by Philips to create a multi-purpose CD player that, in addition to being able to play regular CDs, had the ability to play video games and movies through special CDs. However, its $700 asking price, wildly inconsistent game quality, and lack of proper controller spelled certain doom for the CD-i. Copyright (c) 1990 by Microware Systems Corp.
Test DRAM bank 0 (Y/N) ? Test DRAM bank 1 (Y/N) ? Test full DRAM range (Y/N) ? Do the non-destructive NVRAM test (Y/N)? Test NVRAM with ROM (destroys NVRAM contents) (Y/N)? Test NVRAM with address data (destroys contents) (Y/N)? Check 512Hz signal again (Y/N) ? This page was last modified on 28 February 2018, at 15:45.